Cash department is an important department of any bank. Cash amount is the main source of all banking activities. 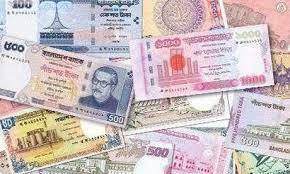 For that every day bank has to remain certain amount in cash in accordance with the rules and regulations of Bangladesh Bank. Cash section is a very sensitive organ of the branch and handle with extra care. Credit voucher in by the customer. Cash receiving officer will check the title number, A/c number and amount in figure and words in he deposit slip of credit voucher. After receiving the cash, receiving officer will record the denomination of the currency on the back of the voucher and enters the part5culars or voucher in the cash receiving book under progressive serial number. He will put his signature with the date stamp both in the counter foil and deposit slip/voucher and pass the same along with the register to the officer in charge of cash department for his signature. Again it will be checked and signed by tic authorized officer. Receiving officer total the amount entered in the cash receiving book at the close of banking hours. Instrument is checked by the cash in-charge whether the A/C name. A/C number and the amount in written in words and figures are correct. The officer in-charge also checks the instrument and signed in it. Paid instruments are kept by the officer. This department is also made payment against various debit vouchers for various miscellaneous expenses of the branch.